I think it is well chronicled on these pages that I have a weakness for tools. I’ve written a number of posts about it, and taken more pictures than I should. I also have to admit that I open the Canadian Tire and Home Hardware flyers first–well before the food. Whenever I visit those stores, I always walk around the tool sections, hefting the wrenches and drills when opportunity allows. When I purchased the bike, I asked what tools I would need–this is probably the kind of words a salesman dreams of hearing. However, they said I would need a pump, a multi tool and some tire levers. The assured me the bike comes with a several tune-ups and there was much less maintenance than a mountain bike. Being at the bike show, I couldn’t resist picking up this tool. Will I need it? Doubtless, there are ways to measure chain wear without this tool–but …..tools are cool. I like tools. As you can see, it was a moment of weakness. Fortunately for me, it isn’t a big ticket item, and it didn’t break the bank. It was cheaper than I have seen it at bike shops and even online shops. It isn’t like I bought the entire Park Tool Master Kit. 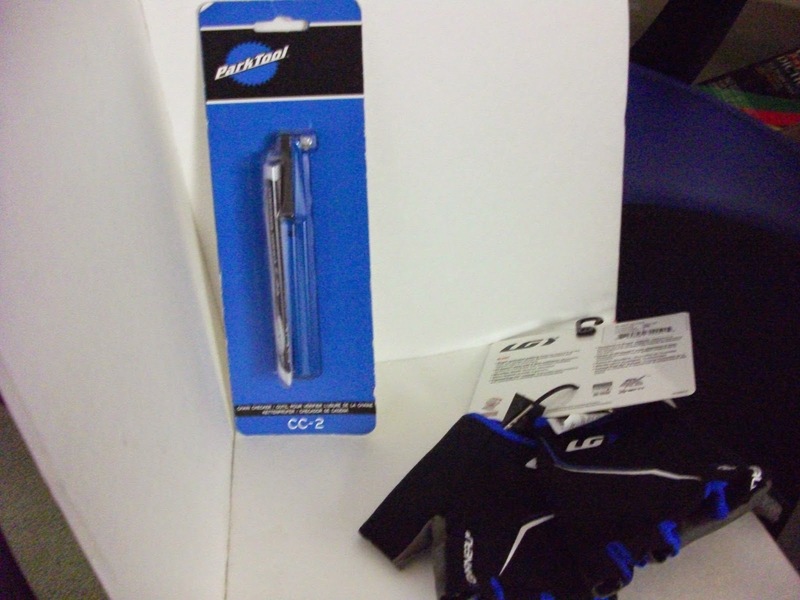 This entry was posted in bicycle, bike show, Canadian Tire, chain checker, cycling, discount, Home Hardware, Master kit, Park, pump, tool, tools, tune up by Anthony. Bookmark the permalink.